Ok... one has to say that WG actually workS, despite the bullying WG fan boys and moderators closing topics 24/7 Dear﻿ players, It's been less than a week since update 0.8.0 release - a major, and probably the biggest change in the game yet, CV rework. We want to share the first list of fixes, changes and tweaks that are to be implemented to improve new CV and counter-CV gameplay. But first of all we sincerely thank you for your feedback and game activity, as well as apologize for﻿ any stress and inconvenience that you could experience due to massive game change Please note that all information in this﻿ post is preliminary. 1. 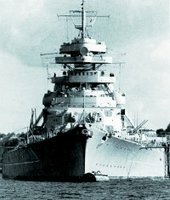 Critical changes and fixes that we're ﻿working on right now (to be implemented within 0.8.0 in "hotfix" update ASAP).﻿ Reduce the excessive efficiency of IJN tier X CV Hakuryu; Reduce the excessive efficiency of IJN Torpedo Bombers (reduce flooding chance, introduce spread debuff when maneuvering); Resolve the "F-spam" issue, when a CV can just recall its squadron at any time without considerable penalties (increase the vulnerability time for the squadron after recall so that players can shoot down some planes before it completely disengages); Do overall AA balancing: shift a part of damage from flak bursts to constant DPS. Flak bursts proved to be an interesting aspect of AA. However, on the one hand, they deal disproportional amount of damage, and on the other hand, avoiding them often results in completely insufficient damage to the planes; Do overall Attack Planes vs. Destroyers balancing. While this is an important thing to do, we would like to indicate that most players seem to underestimate the power of manual AA activation ([P] by default). ﻿Due to great DD concealment, if often makes sense to turn AA off until spotted. A DD spotted at minimal range is a lot harder to hit with the first attack run even with rockets. 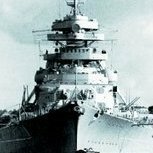 Although, this trick does not remove the need for further balancing; Do additional Premium CV and UK CV (unreleased) balancing; Remove the inconsistency between Des Moines and Salem in close/mid-range AA; 2. Changes and improvements that we work on now in the timeframe of next updates (0.8.1 and beyond). Improve plane reserves UI (information should me better presented); Improve AA sector UI (better ﻿usability); Do additional balancing for individual ships, armament, skills and upgrades, as the statistical data is being accumulated; Clear the minimap for non-CV ﻿ships (remove the unnecessary info about returning planes, etc); Finish the development for CV bots (Cooperative Battles); 3. Open questions and concerns to be researched in more detail and addressed if needed (no specific update planned yet, but it may change). The amount and quality of CV spotting in the new meta; MM limits (our ideal limit is 1 CV per team, very few cases of 2 CV (and always﻿ 1 at tier X, but right now the limit is 3 across the board): we would like to change the limits where/when possible. As indicated before, these are the first plans after several days of release. We will keep monitoring your feedback and update you about any further changes. Thank you, good luck, and fair seas! Moderators :D what is the purpose of the forum? All tiers up to 9 are OK, 9 and 10 are broken, as all the people speak about. There was no one game I lost with the North Carolina, but tier 10 is a joke. Thank you for ruining this once awesome game ! !